All yards, whether big or small require regular mowing, and regular mowing calls for a dependable lawnmower, such as the Honda HRM 195 or HRM 215. Honda lawnmowers have a long standing reputation of quality, durability and reliability. Honda recommends regular maintenance on their machines, to continue peak performance as well as to prevent damage. Maintenance sometimes requires replacement of parts due to seasonal wear and tear. www.hondalawnparts.com has made the process of finding and purchasing replacement parts easy. Honda recommends using OEM replacement parts only. These parts are sold by dealers like www.hondalawnparts.com . 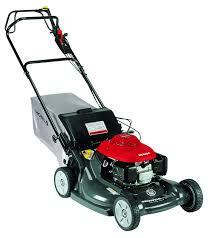 The parts are guaranteed to be compatible with your lawnmower, durable and dependable. Your investment in a new part will not be wasted. Although it may seem daunting to a non-mechanic, many lawnmower repairs can be done yourself, with the right parts and tools. Hondalawnparts.com has simplified the process of identifying the part needed by creating a user friendly parts diagram lookup tool. This Honda Parts Lookup tool only requires that you k now your model number, which is located on your lawnmower. Choose the model and series number, and a menu of all the major engine parts drops down. Once you have identified the part of the engine that needs to be repaired, a diagram appears, complete with a zoom feature which enables the user to zoom in on parts numbers. Once you have identified the part that you need, click on the part, select the quantity desired and recalculate the order. Once you have received your part, you can always refer back to the diagram, to see how the pieces fit together. As a reminder, the best source of information is the Owners Operations Manual. Hondalawnparts.com has made the process effortless and easy – offering several shipping and payment options. Due to their versatility and reliability, the Honda HRM 195 and HRM 215 lawnmowers are an extremely popular choice for yard maintenance. Hondalawnparts.com sells all parts and accessories to both of these lawnmowers. The parts diagram lookup enables the Honda Lawnmower owner to purchase only the parts that they need to repair their lawnmower. It’s a cost effective way to keep lawn mower repair bills low while keeping your lawn mower running season after season. For example: For the camshaft, they sell the camshaft assemblies, rods, valves, nuts, bolts, pins, springs and collars, separately, to enable you to rebuild the cam shaft without incurring any extra costs. The company has large inventory of parts that need replacement most often, such as lawn mower filters, filter parts, motor and blade belts, wheels, blades, cables, oil and fuel system parts and accessories. They also provide all the tools needed to efficiently repair your Honda lawn mower. If your lawnmower needs repair or a part replaced, before you decide to take it down to a dealer to have it fixed, use the troubleshooting guide or owners operations manual to see if you can tackle the repair yourself. Then log on to www.hondalawnparts.com and order your part.